Most Fabricated While You Wait! 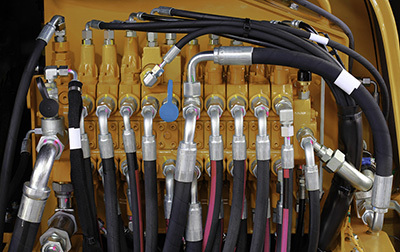 Potomac Rubber has hydraulic hose and adapters for a wide variety of applications from simple pressure and return lines, to hoses for off the road equipment, and pressure lines for elevators. Most can be fabricated while you wait or as a custom production run. 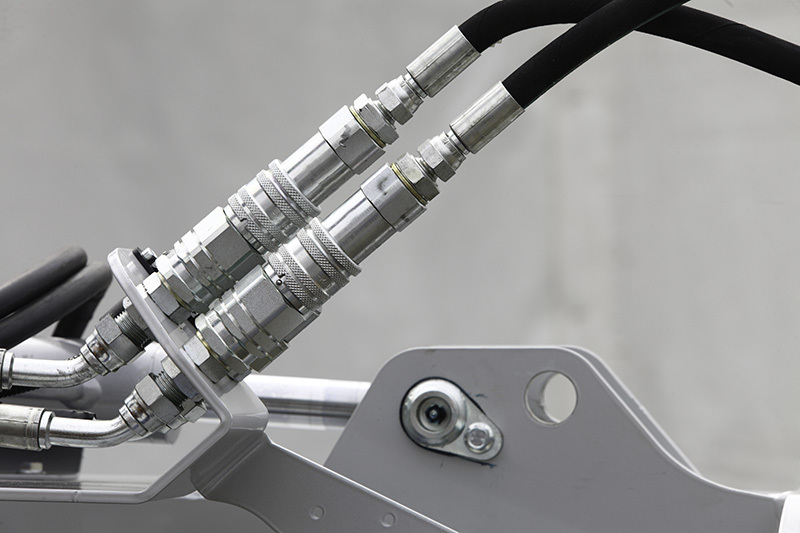 We make custom hose assemblies for quick delivery to industrial, OEM, military and government applications. Need assistance or support? Please call or email our application experts for answers. We are proud to offer Eaton Weatherhead hose and fittings for your high-pressure applications as well as SAE 100 R3 textile reinforced hydraulic hose for your low pressure needs! 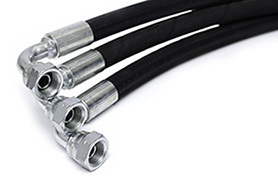 Our High-Pressure hose features a nitrile inner tube with a neoprene cover. It is reinforced with 2 steel braids and supports a range of temperatures between -40 ℉ to +212 ℉ . The cover is oil, abrasion and weather resistant. This hose supports applications using petroleum based hydraulic fluids and oils, and water/glycol solutions. 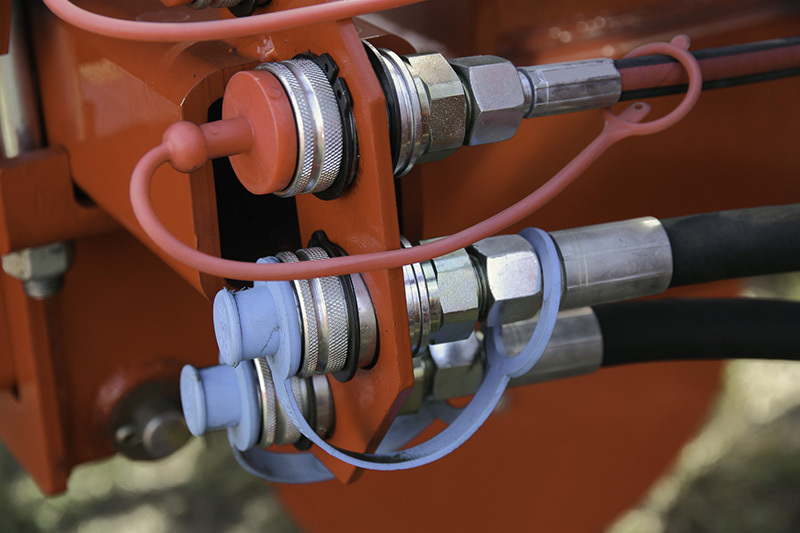 Our Low-Pressure hose has a tube made from high quality, oil resistant synthetic rubber that is resistant to petroleum and water-based hydraulic fluids. 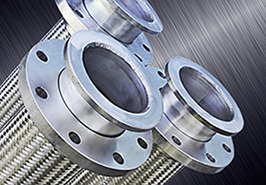 The textile reinforcement makes this hose flexible and lightweight. The cover is made from high quality synthetic rubber that is weather, oil, abrasion and corrosion resistant. This hose supports a range of temperatures between -40 ℉ to +212 ℉.